This weeks VC updates are, I assume, pretty radical. I assume so because I haven’t actually played either of the games, so I’ll give them the benefit of the doubt. 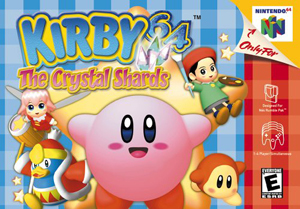 Kirby 64 was one I always wanted to play but never got around to buying…I guess now is my chance. Psychosis…I’ve never heard of, but with a name like that it has to be good, right? The TurboGrafx16 in general is an area I’m not very knowledgeable about, did a lot of people actually own these systems? None of my friends ever had one. Two new games hit the Virtual Console today, Adventures OF Lolo 2 and Super Street Fighter II: The New Challengers. 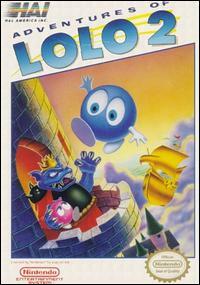 Adventures of Lolo 2 is a puzzle game, featuring Lolo, Lala, and the Great Devil. Sounds cool. Super Street Fighter II: The New Challengers is basically another Street Fighter game, but with Cammy this time. Fix yourself girl, you got a cameltoe. I’m pretty sure I haven’t played these two games. The press release is after the link. Pokemon Snap, Ghosts ‘n Goblins, and BASEBALL STARS 2 head to the Virtual Console this week. 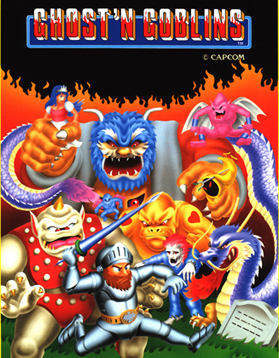 I always liked Ghosts ‘n Goblins, but it was hard as hell. One time, Thrasher and I played Super Ghosts ‘n Goblins (I know, the update is for Ghosts ‘n Goblins on the NES, but this story must be told) for like an hour or two. We got to the 3rd level and thought we were pretty awesome. I had never reached the 3rd level in that game before, it was worth spending the time to get there. As an aside, I think as I play more and more 3D games i lose all my 2D gaming skills. I always wanted to play the Zonk games, but I never had TurboGrafx16, nor did anyone I knew. Now I finally can…well, I mean, I could if I had a Wii. Yeah, I said it. See, in Japan, Nintendo has this awesome program called Club Nintendo. Members of Club Nintendo get all kinds of cool gifts we never see in the U.S. This year, Club Nintendo is offering three really nice gifts: a Club Nintendo desk calendar (just skip the calendar, it’s not the awesome part), a two-disc Super Mario Galaxy soundtrack (awesome), and a Classic controller, for Wii VC console games, shaped like a SNES controller (radical). Super Mario Galaxy is out today, but that hasn’t stopped Nintendo from releasing three new Virtual Console games. I would imagine today would be a bad day to release a VC game considering that, which is sad because Axelay was pretty awesome.